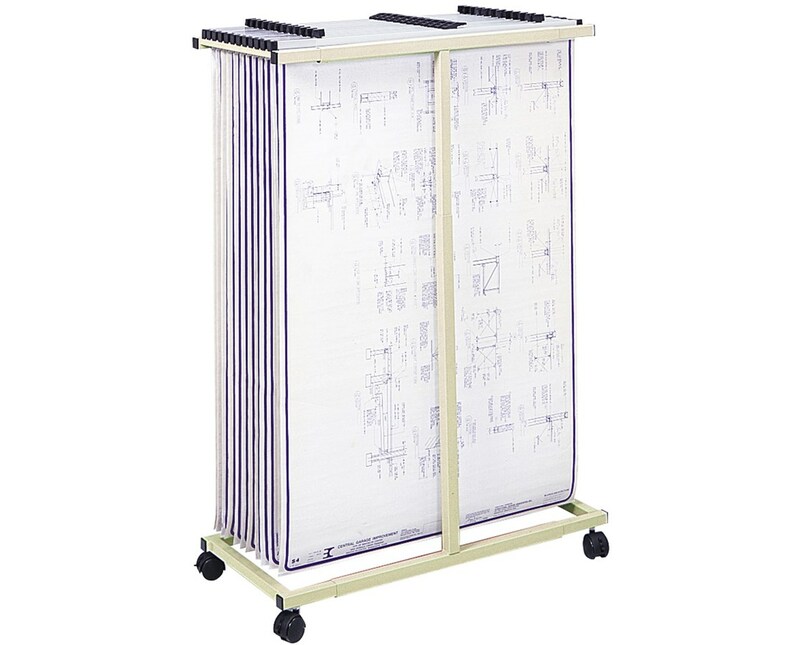 The Safco Mobile Vertical Steel File is a simple yet functional unit that provides a compact and convenient storage solution. It is great for storing blueprints, maps, drawings and other large documents. 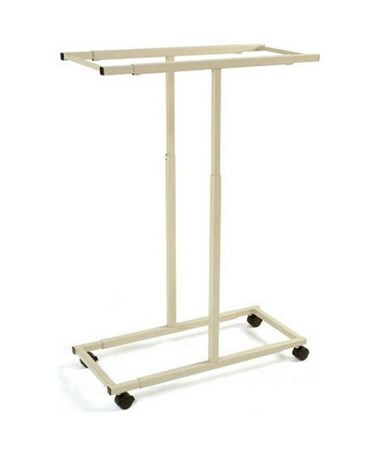 It can accommodate up to 12 clamps that drop in and lift out and are 24 to 36 inches in size. The unit’s height is adjustable from 40 to 52 inches, while the width can be adjusted from 27.5 to 39.25 inches. It is mobile on four ball bearing swivel casters and two of these casters can be locked to keep the file storage stationary. 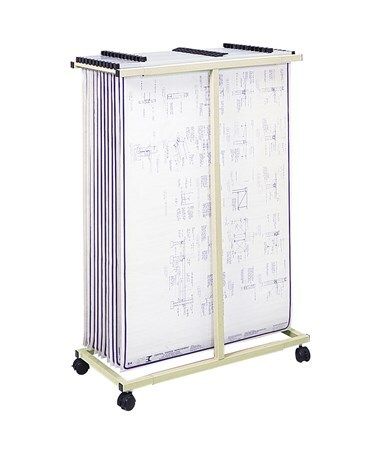 This mobile vertical file is made of steel with a powder coat finish and is easy to assemble. It is also safe for indoor use as certified by GREENGUARD. Please Note: Hanging clamps are sold separately. Height adjusts from 40" to 52"
Width adjusts from 27.5" to 39.25"